This is the privacy notice of Love Tipis Limited. In this document, “we”, “our”, or “us” refer to Love Tipis Limited. We are company number 09471941 registered in the United Kingdom. If you choose to complete the Get a quote feature on this website, you are agreeing for us to contact you based on the details you have provided. We will only contact you regarding the quote requested, and agree not to send you additional marketing emails. Where we have or intend to have a contract with you or with another party at your request, the fact of that contract is the legal basis for our processing of your personal data and we may continue to hold and process your data for a period of up to six years following the expiry of that contract. Your objection to the processing of your data under this basis may hinder the formation or prevent the continuation of any contract or intended contract with you. We may also process your data to comply with our legal obligations under UK or EU law, including but not limited to compliance with legislation relating to taxation. Where LOVE TIPIS LIMITED processes your data on this basis we may hold and process your data for a period of up to six years unless changes in the relevant legislation require a longer period, in such cases that longer period shall apply. Your objection to the processing of your data under this basis may prevent LOVE TIPIS LIMITED from being able to provide services to you. We may process your data as part of our commercial activities, whether in order to further provide our services, to comply with obligations with other parties under our contracts with them or for record keeping purposes. We may rely on your consent to process your data. You may withdraw your consent to that processing at any time (this shall not affect the lawfulness of our processing of your data prior to any such request). However, please note that unless your consent is the only basis on which we are processing your data, we may continue to process your data for any of the other bases set out for the applicable period of time stated above. 4.2 Who we share data with. Who we do not share data with. We share the personal data only to the extent necessary to provide and effective and efficient service and aim to minimise the data shared as far as is possible. Please note that should you request to have your data erased, restricted or object to the processing of your data, we shall do so to the extent possible. If we are under contract with you or have a legal obligation we may to continue to hold your personal data regardless of the request. In all cases we shall use our reasonable endeavours to minimise the processing of your data following such a request. 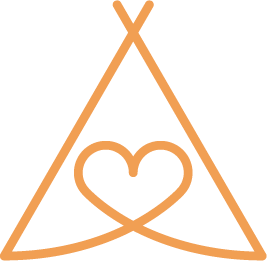 Should you have any questions or concerns relating to the processing of your personal data by LOVE TIPIS LIMITED please contact us, Matters relating to data protection are enforced by the Information Commissioner’s Office in the UK. We use Google to process personal data on our behalf. They have been carefully chosen and comply with the legislation set out above.